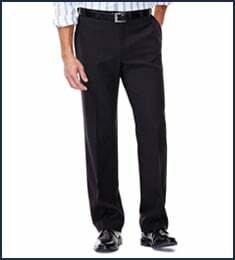 Big & Tall E-CLO™ Stria Dress Pant is rated 4.6 out of 5 by 32. 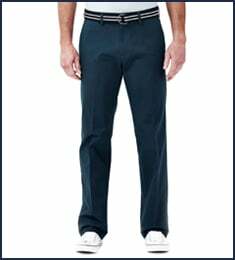 Rated 5 out of 5 by Bphil from Flat front dress slacks; perfect fit; looks great Bought these for my son two weeks ago for special occasion; they worked out perfectly. Rated 4 out of 5 by radburns from All good, but too few/widely spaced belt loops I would like these much better if there were another belt loop between each of the front loops and the next loops, which for some reason are quite a distance away at the sides, or if they spaced the loops more evenly. Either way, it would be more like most other pants, and better for the belt! Thanks. Rated 5 out of 5 by Drdaniel from Great product Bought first pair months ago. Great fit, materials comfortable and when stretched the pockets being the same color don’t show white. Awesome pants for big guys. Rated 5 out of 5 by AP4899 from Great item! I bought these slacks because of my experience with this product in the past. I am never disappointed. Rated 5 out of 5 by Bill47 from Great fit. Very comfortable and light weight. Keep crease and are good fit. 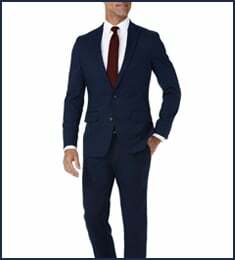 Rated 5 out of 5 by Motorcycle58 from Great Quality I purchased (2) pair of Haggar E-CLO Stria Dress Pants simply because Haggar Always produces quality men’s wear. The fit right out of the bag and weren’t wrinkled because of the material which will save time when getting ready. Rated 4 out of 5 by Zuess from Awesome pants I am a big person all around and finding pants that fit right and still look great is hard to find. These pants are it! 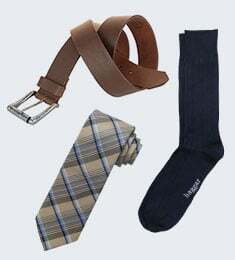 They are perfect for the office or the golf course. filling up my closet with them.